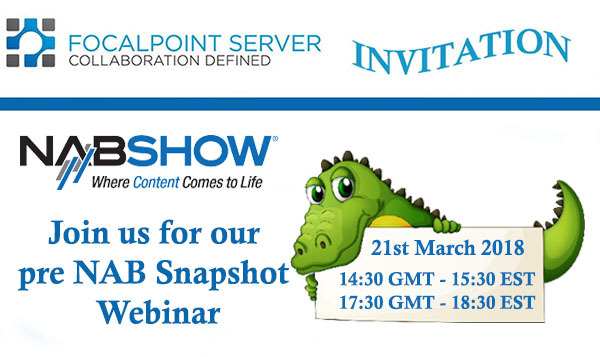 Join FocalPoint Server, Polar Graphics and Archiware on Wednesday 21st March 2018 for another Webinar. Learn more about new products available for FocalPoint Server including Archiware Integration and the recent implementation of FocalPoint Production Tool ‘Syncthing’. We have four time slots available for UK, Europe and USA. Please contact us via the form below.